Meet the dedicated and dynamic individuals that make our work possible! I discovered the Amargosa through my work as an Inyo County visiting nurse. On early-morning winter walks, the silence and the sunlight made me fall in love with this unique corner of the desert. Now that I am retired, my participation in the Amargosa Conservancy has become a meaningful way for me to live to my values. Since joining the Board, I have discovered there are two goals for the Conservancy to which I can apply my efforts. I want to help build the community of people who love the Amargosa and care about its future. I also want to make certain the Conservancy, as advocate for the Amargosa, continues long into the future. I have focused my volunteer activities on the infrastructure of our organization. I take minutes for the Board meetings, help organize our files and documents, and work on fund raising activities. In becoming a part of the group, I find myself truly proud to be associated with the people and the work of the Amargosa Conservancy. Chris Roholt lives in Riverside, California, and has worked on behalf of the California Desert for three decades. He retired in 2010 from the Bureau of Land Management, having spent over twenty years as the Wilderness and National Conservation Lands Coordinator for the California Desert District. In this capacity, Chris was instrumental in the implementation of the California Desert Protection Act, which created over three million acres of BLM Wilderness in California. Chris also initiated the BLM’s first comprehensive wilderness restoration program, partnering with the California State Parks OHV Division and the Student Conservation Association, in what has now been a fifteen year program to restore desert Wilderness Areas. Chris and his wife Karen are active in the Gates Cactus and Succulent Society, and have a remarkable collection of prize-winning cacti and succulents at their home. Since retirement, they have begun summering in Missoula, Montana, where they both have roots. Naomi Fraga is Director of Conservation Programs at Rancho Santa Ana Botanic Garden in Claremont, CA. She has been studying plants of the Mojave Desert for over 15 years. Her research interests include plant geography, conservation biology, rare plants of western North America, taxonomy of monkeyflowers (Phrymaceae), and pollination biology. She is particularly interested in the flora of the Mojave Desert in southern California. 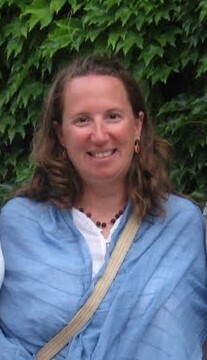 Naomi received her Ph.D. in Botany from Claremont Graduate University and she also holds a M.S. in Botany from Claremont Graduate University and a B.S. in Botany and Biology from California Polytechnic University, Pomona. Naomi also serves is Secretary for the Southern California Botanists, Vice President of the California Botanical Society and is a council member for the American Society of Plant Taxonomists. Bill Neill is a welcome addition to the Amargosa Conservancy and brings to us, a wealth of knowledge from his experienced background. Although educated as a geologist and petroleum engineer, over the past 30 years his primary environmental interests have been the California Desert and control of invasive species. From about 1979 to 1981 Bill produced and directed an educational film on feral burros for the SCRCC Desert Committee, then chaired the Angeles Chapter’s Wildlife Subcommittee (of the Conservation Committee) until 1990. From 1983 to 1998 he organized volunteer groups that employed chainsaws and herbicide to remove a non-native tree, tamarisk or saltcedar, from desert springs and riparian areas throughout the California Desert and adjacent states. For the past decade Bill has been self-employed as a professional herbicide applicator, working to control invasive wildland weeds in coastal watersheds of Los Angeles, Orange and western Riverside Counties. He is an active member of two Weed Management Areas (Los Angeles County and Santa Ana River & Orange County) and is the Invasive Exotics contact for two chapters of the CA Native Plant Society. 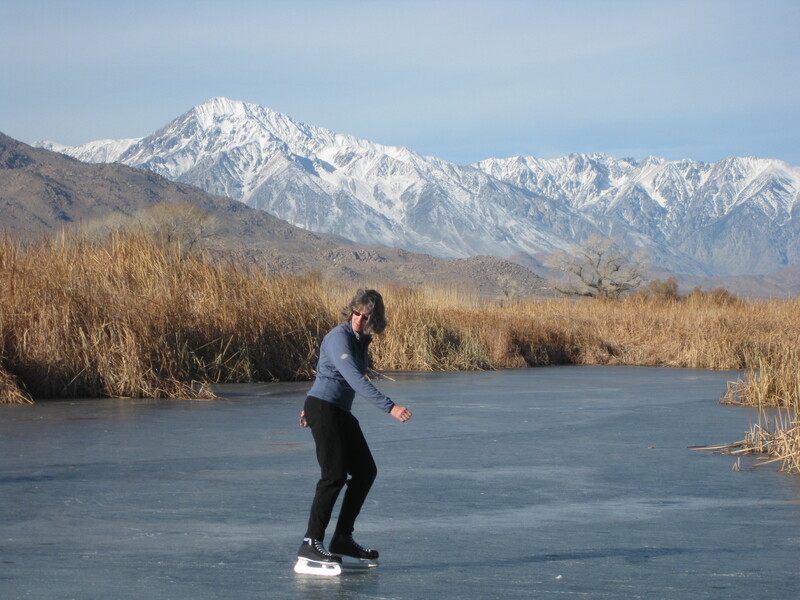 Holly Alpert, Ph.D., lives in Bishop, California, and works on California water issues in two capacities: Director of the Inyo-Mono Integrated Regional Water Management Program (IRWMP) and IRWMP Coordinator for the California Rural Water Association. Through these two efforts, Holly has been working with small, rural, and disadvantaged communities for the past 10 years with the goal of building capacity and increasing self-sufficiency with respect to water resources. Holly also works on the intersection of water resources and climate change and served on the California Department of Water Resources’ Climate Change Technical Advisory Group. Holly has served on the boards of Sierra Classic Theatre and the Bristlecone Chapter of the California Native Plant Society, and she is currently board president for the Amargosa Conservancy. Holly holds a B.A. in Environmental Science and American Studies from Wellesley College and a Ph.D. in Environmental Studies from the University of California, Santa Cruz. 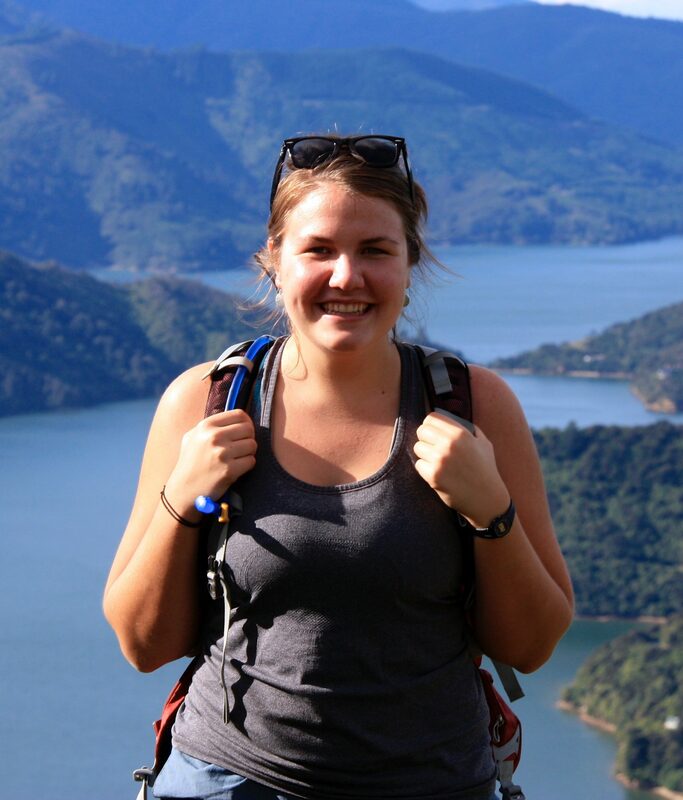 In her leisure time, Holly enjoys skiing, hiking, traveling, and eating chocolate. The best find during a 2017 European trip was Fassbender & Rausch Chocolatiers in Berlin. John has been working on conservation issues for almost 30 years. He has served as chair of the Red Rock Audubon Society’s conservation committee since the late 1970’s. He became active in the wilderness movement during the 1980’s as part of the effort to designate wilderness on Forest Service lands in Nevada. After passage of Nevada’s Forest Service Wilderness bill in 1989 John re-focused on BLM wilderness quality lands and has actively promoted that cause ever since. He has been a member of the Board of Directors of Friends of Nevada Wilderness since 1995. He is involved with several conservation organizations including the Eastern Nevada Landscape Coalition (chairman of the board of trustees), the Sierra Club’s California-Nevada Desert Committee, and the Amargosa Land Trust. In the area of civic affairs he has been a member of the Enterprise Town Advisory Board since 1979 and served as chairman for 15 years. He has served on the Las Vegas Valley Citizens Groundwater Management Advisory Committee since its inception in 1998. Recently he was appointed to the Integrated Joint Water Planning Citizens Advisory Committee. He is in his third term as a member of the Bureau of Land Management’s Resource Advisory Council (RAC) for the Mojave-Southern Great Basin region in Nevada. An organic chemist by training, with a Ph.D. from Yale University, John has been employed as a clinical and forensic chemist since 1973. Abby first discovered the Amargosa Basin as a stewardship intern for the Conservancy in 2015, and was thrilled to join the Board of Directors in early 2018. During her time working for the Conservancy, Abby was immersed in stewardship projects such as Amargosa vole habitat restoration and tamarisk removal in the Shoshone wetlands. 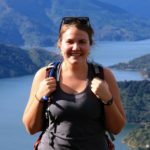 Currently, she lives in her hometown of Chicago and works as Development Coordinator at Openlands, a regional conservation nonprofit, where she enjoys advocating for urban conservation through encouraging Chicagoans to get outside and spend time in green spaces. Abby’s background is in public land management, grant administration, and event coordination and she has previously worked for the Bureau of Land Management and U.S. Forest Service. Abby earned her B.S. in Biology and Environmental Policy from the University of Puget Sound in Tacoma, Washington. In her free time, she enjoys kayaking on Lake Michigan, making jewelry, and creating pressed flower art. David is honored to serve as board member for the Amargosa Conservancy. He is employed as the California Desert Field Representative for the National Parks Conservation Association (NPCA). David is currently engaging in a campaign to provide advocacy, outreach and education to the gateway communities surrounding Mojave National Preserve and Death Valley National Park. David has recently been honored to speak to students as a minority “Environmental Role-Model” on behalf of the National Hispanic Environmental Council (NHEC) at Duarte High School in Los Angeles County. David’s background in herpetology facilitates his participation on the Desert Tortoise Work Group for the Desert Managers Group (DMG). David’s past experiences include spending three years as a Regional Vice-President for an environmental consulting firm in Fort Lauderdale, Florida. David’s responsibilities included full charge of two successful offices on the east coast of Florida. Prior to that, David was employed in diverse wildlife and agricultural research biology positions including experiences in the fields of aquaculture, agricultural biology and herpetology. David graduated from New College of Florida with a BA with a concentration in biology/ecology. David has traveled extensively, spending time in Korea, Jamaica, Canada, Mexico, and he feels that these experiences have given him a deeper understanding of the value of conservation and wilderness. David has been, and continues to be published both as an author and Wildlife Photographer. David is an avid naturalist, hiker, and photographer who spends his free time exploring and photographing wildlife and wilderness. Andrew has 20+ years of experience in the fields of hydrogeology and geology, and is a California Professional Geologist, Certified Hydrogeologist, Certified Engineering Geologist and Registered Environmental Assessor. He has participated in a variety of regional and site-specific hydrogeology, engineering geology, and mining-related projects throughout the southwestern United States, New Zealand and Peru. Among his specialties in numerical groundwater modeling are: finite element and finite difference modeling of groundwater flow and groundwater / surface water interactions, contaminant transport, and dual-phase flow. Mr. Zdon has also provided expert witness testimony regarding hydrogeologic conditions and activities including groundwater modeling. 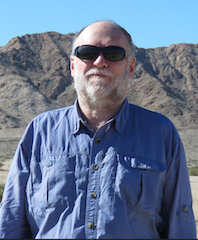 Mr. Zdon has served as a volunteer subject matter expert for the California State Board for Geologists and Geophysicists He is a graduate of Northern Arizona University. Outside of his geologic work, Andy is an avid birder and is a member of the American Birding Association and Western Field Ornithologists. He is also a Member of the Explorer’s Club and is President ex-officio of the Friends of the Eastern California Museum. Mr. Zdon is the author of Desert Summits: A Hiking and Climbing Guide to California and Southern Nevada. Desert Summits includes routes up many desert peaks in the Amargosa area. Greg was born and raised in Los Angeles. He has lived in Bishop, California since 1977. He attended UCSB and then UCLA Law School. Following graduation in 1972, he worked as an attorney for the County of Los Angeles for three years and then traveled extensively for a year throughout Central and South America. He then moved to the Owens Valley where he has worked in many capacities including general legal counsel and special legal counsel for the County of Inyo. His responsibilities included serving as the County’s chief advisor and negotiator in a successful effort to reach a settlement in the nearly century old battle with the City of Los Angeles over the water resources and the environment of the Owens Valley. Also, since the late 1980s, Greg has represented Inyo County in its opposition to the Southern Nevada Water Authority’s groundwater export applications which threaten the environment of the Amargosa area. In 1980 he helped create, and then, for more than 20 years, managed the Inyo County Water Department which is comprised of environmental scientists and technicians and has the mission of seeking environmentally sound management of the water resources of Owens Valley. Greg retired from Water Department at the end of 2004. He continues to reside in Bishop, California, and, as a private attorney, represents the County and others on water-related and environmental issues.